Are you ready, Xtina fans? 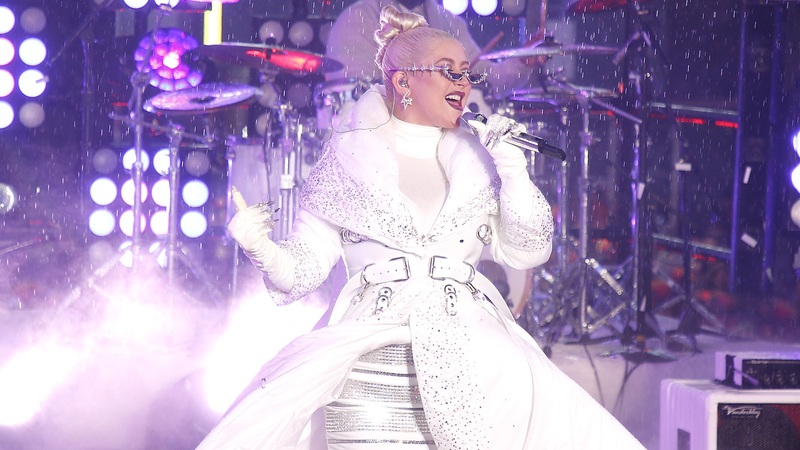 Christina Aguilera recently returned to the stage after a decadelong break from touring, and it went so well she’s decided to go even bigger. So start planning your next vacay now, because she’s joining the likes of singers like Lady Gaga and Jennifer Lopez in tackling a Las Vegas residency. Aguilera broke the exciting news on Tuesday’s episode of The Ellen DeGeneres Show, revealing that she’s “been in talks for quite a few years now” about a residency. Following the success of her just-wrapped comeback tour, Aguilera decided to pursue the opportunity. Dubbed “Christina Aguilera: The Xperience,” the residency will take place at Planet Hollywood’s Resort & Casino’s Zappos Theater and will run May through October. “I still want to see my fans in Europe and all over, but how much easier for everyone to just come to one place and fill the venue with fantasy and love and excitement and put on a show that I’ve actually been accumulating for years?” Aguilera explained of her desire to do the residency. Aguilera also told DeGeneres that Aguilera’s kids were a huge motivator for both her break from touring and for getting back into it. “I’m a mama bear. I like to take care of the crew around me, and, you know, I love my kids and believe in routines and things like that, but I had to get back to my heart and my soul and my fans and what I love to do best,” she explained. While she may not have decided to return if her kids weren’t on board, her recently wrapped tour proved that they’re big fans of Mama being back in the spotlight. If you weren’t one of the lucky members of DeGeneres’ audience who received free tickets for “The Xperience,” you can purchase yours when they go on sale this Saturday, Feb. 2. If you sign up via Aguilera’s website this week, you’ll have access to presale tickets starting on Wednesday, Jan. 30. Caesars Rewards members, Live Nation and Ticketmaster customers and DeGeneres’ fans will have access to a presale starting Thursday, Jan 31.